... and wishing we were there. Theremin lovers are in for a real treat at the National Institute of Fine Arts in the historic district this weekend. 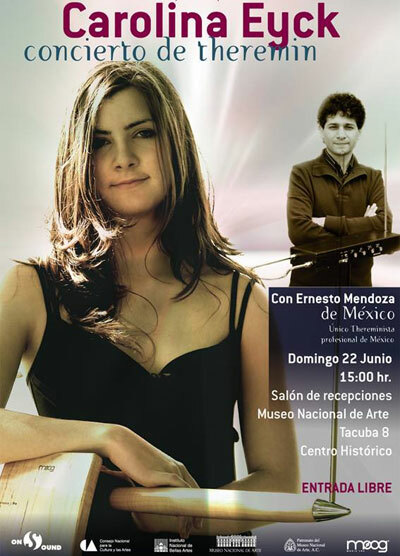 Best wishes to Carolina and Ernesto for a wonderful concert and warm regards to all of ThereminWorld's friends in Mexico City!